The City of San José worked with What Works Cities partner the Behavioral Insights Team (BIT) to determine what was more likely to convince homeowners not to dump junk illegally—a postcard promising an exclusive offer for a free garbage pickup or a message appealing to their civic responsibility. August 31, 2016 – Discarded couches along a creek, mattresses piled up in an overgrown vacant lot, an old washing machine with a “free” sign plastered on it curbside. Not the type of imagery that says Capital of Silicon Valley. Enter the What Works Cities’ partner BIT. 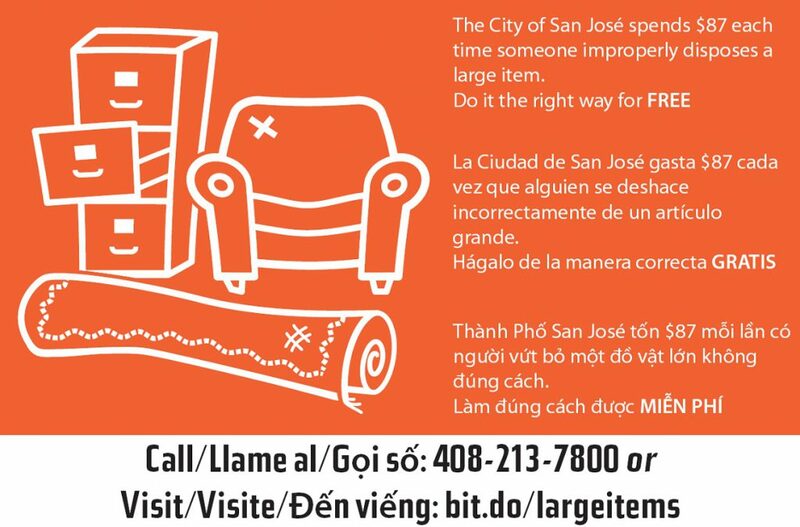 They made a suggestion to City of San José staff: use innate human behavior, and apply it to public-outreach methods for ridding the city of discarded junk that invades the landscape and clutters downtown streets. By definition, illegal dumping is the improper disposal of solid waste, resulting in citywide blight and negative environmental and public health effects. In recent years, San José—population 1,042,094—has been experiencing an uptick in both the frequency and volume of items being dumped. 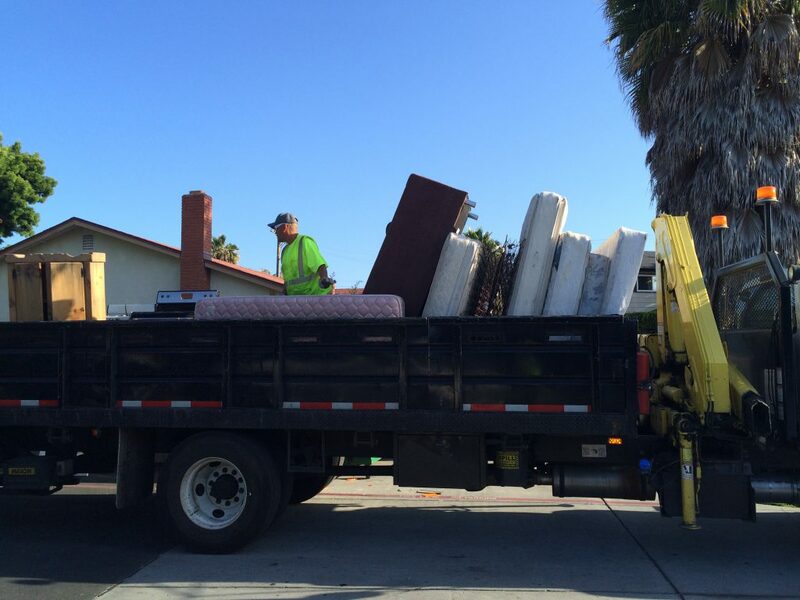 The San José Environmental Services Department (ESD) developed a simple way for residents in single-family homes to be part of the solution: offer large-item collection pickup of up to three items, such as mattresses, tires, and refrigerators, at no cost for a limited time. 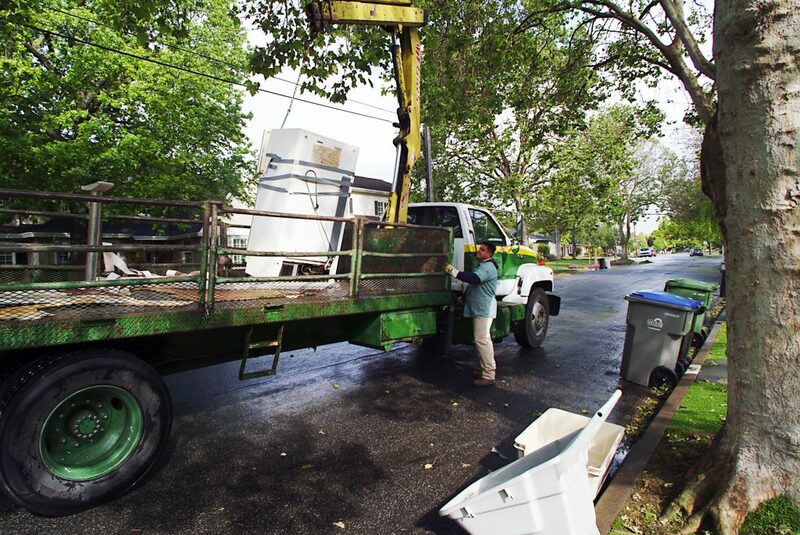 The pilot, which ran from October 2015 through June 2016, proved successful in getting junk off the streets—so much so that the City Council approved expanding the Large Item Collection program to twice-a-year, free, large-item collections for single family residences. Each collection includes up to three large items. For additional large items, the collection fee is still low, at $27.23 and includes the pickup of three bulky items. To inform residents of this new service, ESD used a multifaceted approach for increasing public awareness of the program. Their outreach methods included the use of direct mail in the form of a postcard. 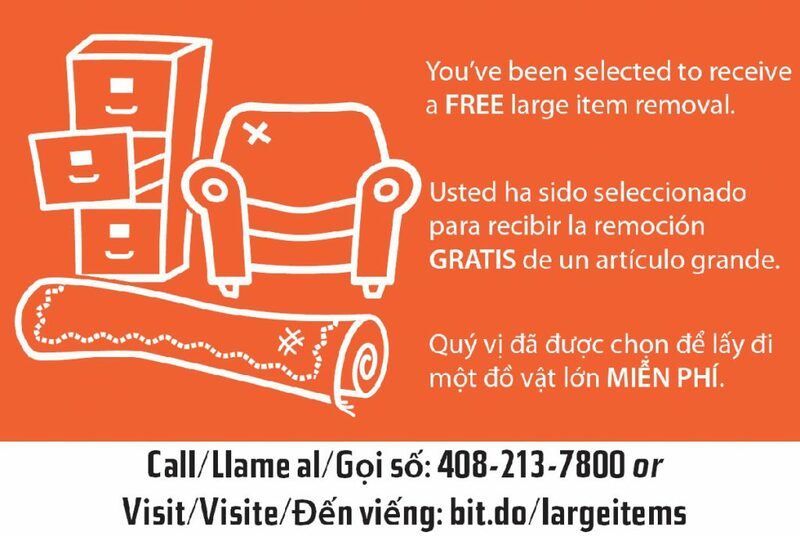 In collaboration with ESD and the city’s Data Analytics team, BIT designed a direct mail trial to test the effectiveness of using behavioral science techniques to increase use of the free service for collection of large, bulky items. Two different postcards were designed to trigger a behavioral response. But which behavioral approach would resonate the most with residents and prompt them to use the free program was unknown. For the trial, 6,000 postcards were mailed out to randomly selected San José residents, with 3,000 receiving Postcard A and 3,000 receiving Postcard B. 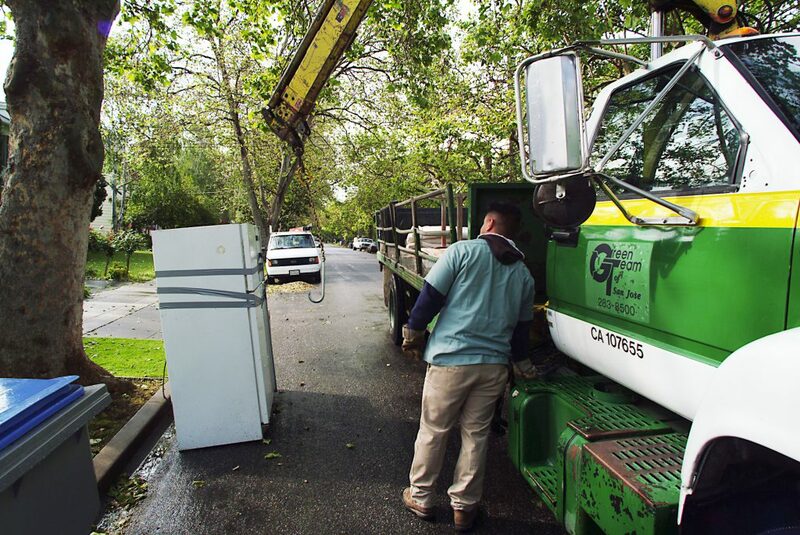 The sample residents are all served by California Waste Solutions (CWS) for their recycling collection. CWS serves downtown and north, east, and south San José. Postcard A reminds residents to dispose of unwanted items correctly, outlining that it costs the city $87 each time someone improperly dumps their stuff. The theory is that, by making costs more tangible to residents, it would impact their decision-making and nudge them to follow the rules. Consider this postcard, the “Do It the Right Way” approach. Postcard B aimed to make the program more attractive by marketing it as an “exclusive offer” in which a resident had been selected to participate. In layman’s terms, this is the “You’ve Been Selected” method. Both postcards were provided in English, Spanish, and Vietnamese, the three most common languages spoken in San José. The cross-agency team monitored the actions taken by residents during the three-month-long study. From April 1 through June 30, 2016, data were collected on which residents used the bulky-item pickup service, whether they received a postcard, and, if they did receive one, which version they were mailed. Overall, the results found the postcards were statistically significant in their impact on residents’ behavior. The direct mail increased large-item collections by 75 percent for the “Do It the Right Way” approach, while collections increased by a dramatic 150 percent for the “You’ve Been Selected” postcard. The “You’ve Been Selected” approach was 42 percent more effective than the “Do It the Right Way” postcard. If the better-performing postcard had been mailed out to the entire sample, the approach could have resulted in 8,281 pickups over the same three-month period. With more residents using the free collection service, the likelihood of more junk ending up in the streets is far lower. Thanks to this informative study, city staff will use the results in developing effective communication strategies for future citywide direct mail campaigns. This post originally appeared on the City of San José’s blog.